Posted: August 9, 2014 10:41 p.m. 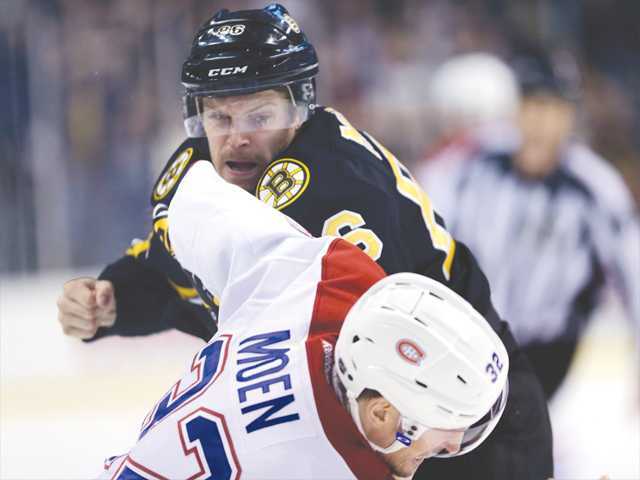 Updated: August 9, 2014 10:41 p.m.
Boston Bruins defenseman Kevan Miller fights Montreal Canadiens left wing Travis Moen (32) during the first period of an NHL hockey game in March in Boston. Miller helps goalie Chad Johnson (30) stop a shot during a game in January. The Santa Clarita Valley isn’t exactly known as being a hotbed for ice hockey. In fact, you could apply that to California as a state. Yet Kevan Miller found a way to make it work. The 26-year-old Canyon Country native discovered his love of the game while playing roller hockey in the streets with his brothers Kyle and Cooper. His neighbors later introduced him to ice hockey and from there Miller knew what he wanted to do. While he was introduced to the sport by his neighbors, Miller acknowledges who made it all possible. Miller, who is a defenseman for the Boston Bruins, was one of three California-born players to play half or more of last season in the NHL. He started his hockey career with the West Valley Wolves who are now the California Heat. 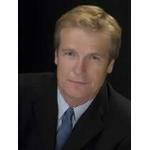 Once he got to Canyon High he played both travel and high school hockey as well as soccer for the Cowboys. But in Miller’s junior year in 2006, he and his family made the tough decision for him to move to Sheffield, Mass., and attend the Berkshire School at the suggestion of his West Valley coach, Larry Bruyere. While living across the country in a new place took some adjusting, Miller quickly acclimated. From Berkshire, Miller went to play college hockey at the University of Vermont where he was named the team’s rookie of the year after appearing in all 39 games for the Catamounts. Miller was a captain in his junior and senior seasons, racking up 2 goals and 13 assists in that time. 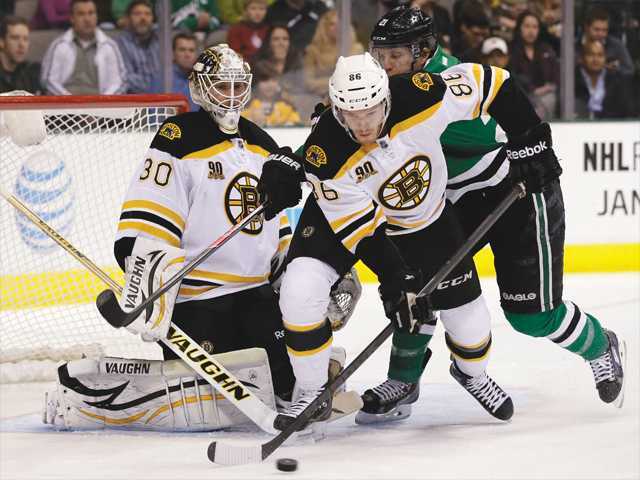 Undrafted out of college, Miller was signed as a free agent by Boston and spent the next three years playing with the Providence Bruins of the American Hockey League. Then in November he got the call to join Boston where he played 47 games, scored a goal and had five assists. The top five videos that come up when searching “Kevan Miller” on YouTube are all of him fighting. And winning. And while Miller says he has never viewed himself as an enforcer, he acknowledges that fighting is part of the game. Miller’s tough play and solid defense work earned him a two-year, one-way contract extension. That means he will be paid the same amount of money whether he plays in the NHL or AHL. With his place in the big leagues carved out, Miller a little more incentive to train hard during the offseason. Miller does some training at the Valencia Ice Station, where he played while with the Canyon High team, with his friend and former Valencia Viking Shane Harper. Harper plays for the Chicago Wolves of the AHL. California may not be a hockey state but with players like Miller along with the success of the LA Kings, Anaheim Ducks and San Jose Sharks, that could be changing.